By August, the light summer hours and days are starting to shorten. 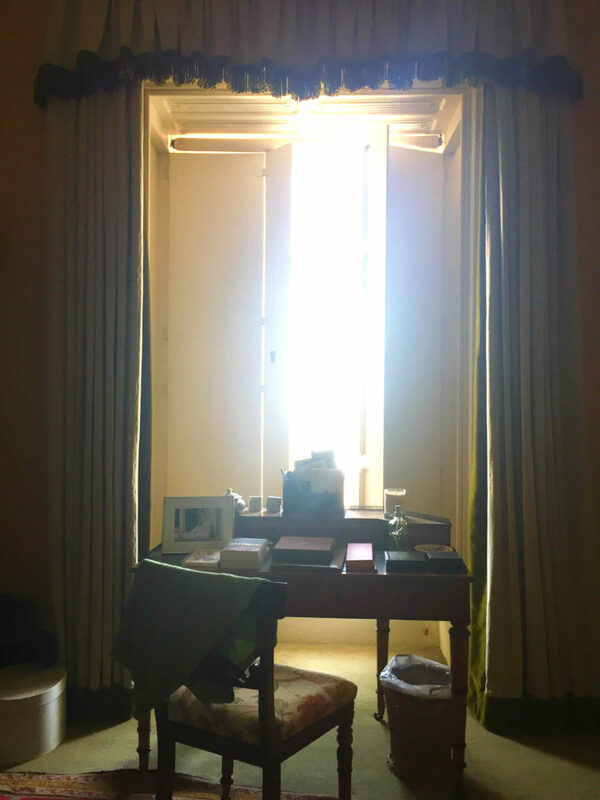 To prolong the feeling of summer, I like to sleep with the shutters and curtains open a little so I can wake gradually to the light filtering in round the corners, letting the dimness of our bedroom lift slowly. No doubt about it, I do not leap out of bed but, instead, rather peep across the room, thinking about all the things I left undone yesterday and what is on my list today. However, over the last few days, the early mornings have been punctuated not by birdsong but by the very persistent beep, beep, beep of reversing forklift trucks. The stage for our annual fireworks concert, the Battle Proms, was being built and, given the heat, everyone started early. The day of the concert was a particularly busy one. 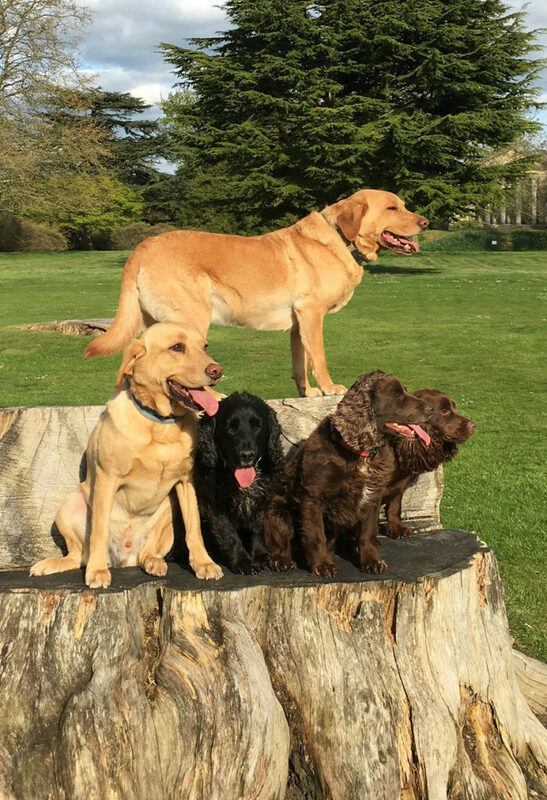 I began by setting off on my bike with six dogs (Bella, our older labrador, is keeping her daughter company) but came back with only five dogs. Not ideal as it meant I had to return in a car to search for Scooby, eventually to be seen trotting back from afar before he hopped, unrepentantly, into the car. I was now already late to sort out the family picnic area and give my list of guests to the car parking team. To add to the chaos, the alarms were going off in a series of sheds behind the Castle and John G was waving an unread email at me which he had sent to me but also printed out as he knows I tend not to read his emails (this two pronged approach is his new ploy). On the afternoon of the concert my solution was to drive round giving ice-creams to all the car parkers and suggesting that they all call me on the radio when anyone arrived claiming to be a guest. The ice creams went down rather well in the heat. In fact it was a rather lovely evening. It was a very special concert as it was the 100th Battle Prom concert which was also marking the 100th centenary of the end of the First World War. We were also using it as part of our effort to share the Heroes at Highclere weekend which incredibly is only a month away. The programme highlighted the music of George Butterworth (The Banks of Green Willow) who died at the Somme, Hubert Parry (who died in 1918) and Edward Elgar, whose latter works responded to the poems and carnage of the First World War. On a lighter note, it also included Rossini, Beethoven, Tchaikovsky and Ravel for balance. 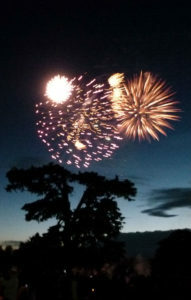 As the evening developed, so did the fireworks which are set to music against the darkening skies around the tall, ancient silhouette of one of the cedar trees. The whole evening had a wonderful atmosphere with nearly 10,000 people talking, laughing and singing more or less together. As a special treat, by way of extra entertainment, at 6.17pm precisely, the Red Devils dropped out of the sky to land perfectly on an X just by the Castle. Amazing as there seemed to me to be rather a lot of cedar trees – both large and small – in their way. We thought we would end our September event with some parachutists trailing poppies on the Sunday evening which, I rather suppose, we will have to clear up in double quick time as they are unlikely to be wanted by the Downton Abbey film crew who will be moving in almost immediately afterwards. Thank you. It was a beautiful summer’s evening and for once we didn’t need blankets for the cold. Very happy and proud to have been there last week with my clients. So glad you enjoyed your visit. 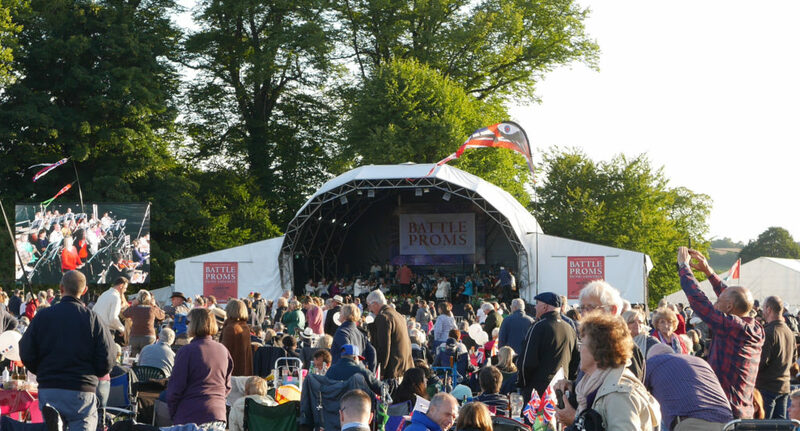 The Battle Proms concert sounds like a wonderful event. Many of your guests (as I’m sure you know) have been posting pictures of the event on Twitter. I think your fireworks were spectactular and it was a very moving show of patriotism. I hope you make your poppy idea come true. Clear them out though afterword, or the Downton maids may be clearing them off in the opening scene of the Downton movie!!! Actually, I think Julian Fellowes can come up with a more exciting opening for the movie. 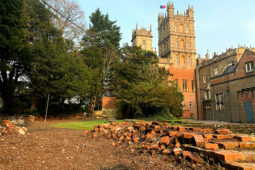 We will all be waiting for the movie and sending love to cast, crew and everyone involved at Highclere Castle. We are very much looking forward to seeing all our Downton friends again. I imagine those fireworks were beautiful over the castle. The memorials and tributes that you have so lovingly organized leave me humbled, and they move my heart. They are celebrations (the fireworks & music are spectacular) and remembrances of human bravery and sacrifice. My grandfather served in WWI, and I thank you for all you have done to remember the individuals that served. He was in Pastoral Care, and although not on the front lines, he served to help heal those individuals impacted by the horrors of war. You have found a perfect balance for the celebration of freedom and victory, while honoring the memory of loss and sacrifice. 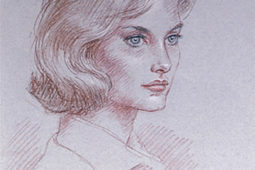 “Heroes at Highclere” will surely be a most wonderful weekend! Then, onto the excitement of more Downton!! Thank you Charlotte, what a help your grandfather must have been to those on the front lines. I think every wife, mom, leader, teacher wakes up every morning with a to-do list in mind. ( Not on your grand scale though) :). It’s best to take it slowly though as you said. Enjoy the sunrise and birds! I’m sure those fireworks were so beautiful in your lovely setting. Hope to visit one day soon! Sounds like a beautiful evening. Look forward to all your messages as they are at times historical, entertaining and informative. Thank you. We had a fantastic time at the Battle Proms this weekend, thoroughly enjoyed ourselves. The fireworks were spectacular. We have visited your beautiful home on previous occasions & loved it every time. How beautiful were the fireworks with Highclere in the foreground! It must have been a fine event and with lovely weather, too. And hopefully you will be able to have the shower of poppies for the Heroes at Highclere weekend, that would be special. It was a wonderful evening and a great start to the countdown to Heroes. What a spectacular tribute to those heroes who sacrificed so much! The musical celebration and fireworks will ensure they are never forgotten. 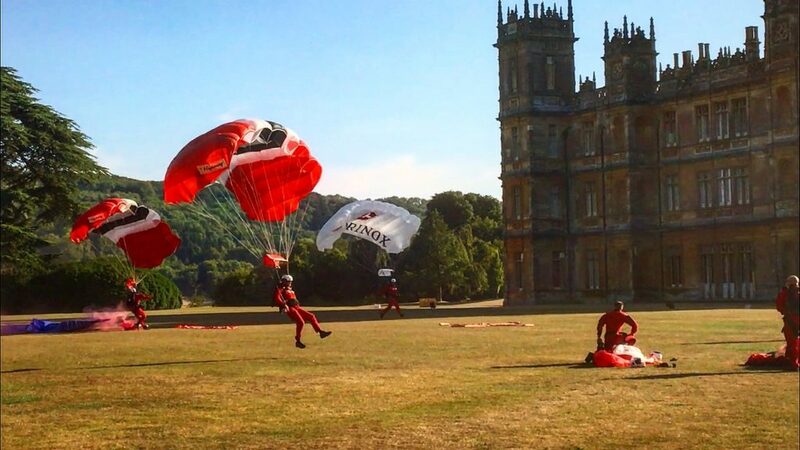 It is a great prelude to Heroes at Highclere. The firework picture is just stunning! I am sure the image doesn’t do it justice of seeing it in life. We have never had the pleasure of visiting your home……but maybe in the future that would be possible for us. We live on a farm in rural Iowa…..so our scenes here are lovely this time of year with growing crops, animals, beautiful trees and all. No castles in our vista’s! I love reading your blog and enjoy your humor as you write. Thanks for sharing your life with us, regulars! Teehee! 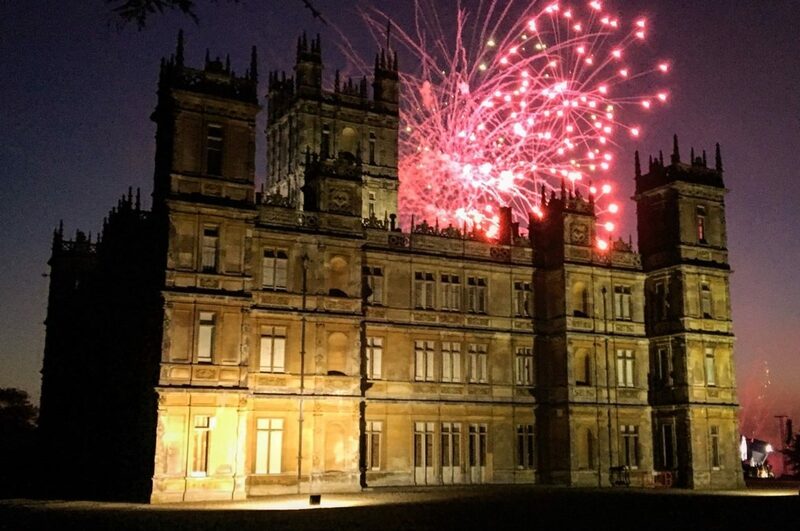 I can’t imagine what a more beautiful sight than Highclere by night with fireworks. I love the anecdote about the doggies, it’s so cute! They are all cute in their own way! You are a brilliant writer and I love your blog. The event sounds like it was amazing – thanks for sharing it with those of us who could not be there. What a wonderful night you must have had. It sounds just brilliant! I have to ask, however…. Did Finse have her puppies? How many and could you post some pictures, please?!?! I will do that when Karine thinks we should !! Karine and I are now of course puppy grandparents … it was magical and is just so special. Great post! Looks like a wonderful way to spend a late summer’s evening. Your dogs are beautiful. We have always had Labs, and the yellow boy on the left, in your photo, so resembles our dog, Quinn. Thank you for sharing this moving and wonderful event. The pictures are delightful! My husband Robert and I will visit Highclere on Tuesday, Aug. 21, in the afternoon, and staying for tea. We are so excited to visit! We will be on our way to Wales to visit family and friends. We will be making special visits also to some of the historical Owen family houses: Orielton Palace in Pembroke, Bettws Hall and Glansevern in Montgomeryshire on this trip. Thank you for your beautiful and insightful writing and blog. We look forward to being at Highclere! I should be here on that day ..
We would just like to thank you and everyone involved in last Saturdays Battle Proms. It was our first time and we both thoroughly enjoyed ourselves. It was very emotional for both of us and my thoughts were with my Great Uncle who died in Ypres in 1917. I was also honoured to be in the Egyptian Exhibition when you came in and gave us a little talk on the wall paintings. I have a great love of all things Egyptian and have visited Egypt many times so felt very honoured. Thank you for coming – it was very moving as well as inspiring and entertaining. It will be back on the 3rd August 2019! sitting in the car on our way back to Berlin I read your blog about the Battle Prom Concert…and smile happily remembering a very nice weekend!!! We left Newbury this morning after we visited the Battle Proms on Saturday and Highclere Castle and gardens yesterday for the second time. It was…again…amazing! Our son especially enjoyed the Egyptian Exhibition whereas our daughter fell in love with the rocking horse in one of the bedrooms! Sadly our time in England is over for now but we hope to be back soon! Thank you very much! Thank you for coming – it was really one of the best evenings. I feel like I was there!!! What a treat for all to have fireworks set to classical music and more. In addition, I know exactly the feeling of seeing the parachutist flying around way up in the sky and come in to land. Wow, what a thrill!!! I have experienced that many times over the years at events where they land in a stadium with the roar of thousands to welcome them. Furthermore, I particularly like the fly overs of the military jets–as a former flight attendant my love of planes and flying is still with me–my best memory though is seeing the stealth bomber silently coming in the distance and then it is overhead and you can’t believe that it is a plane and not a UFO!!!. If I ever get to visit, I would like to be there on the weekend when this event is happening. Is it on every year at the same time? 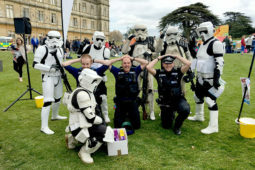 Best of luck with Heroes at Highclere event this September. My father-in-law who is 92 years young, was in WWII so I feel a certain elation when I hear about events honoring war veterans. Thanks in advance for recognizing war heroes/vets. What a jewel you are!!!! Please never stop posting about any and everything there at Highclere! MOST interesting and just exciting to hear all. Looking forward to Downton news, as well. I just wanted to let you know, I love reading your blogs. Dear Lady Carnarvon I have visted Highclere for the first time today and it blew me away !! What a fabulous place it is !!! 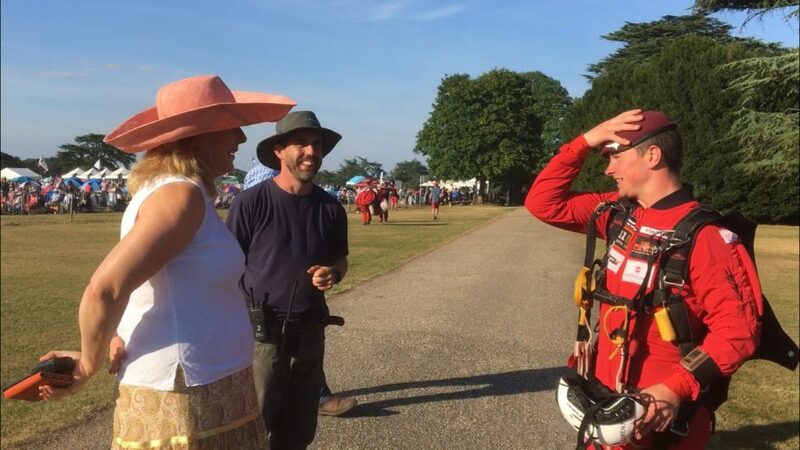 I met the lovely ladies who ” host ” you through the rooms and it was very clear that they are all so proud to be part of ” Team Carnarvon “..I also bought a copy of your book…At home at Highclere…..and cant wait to get cooking when I return home to Devon……..thank you for a lovely day . Dear Lady Carnarvon, thank you so much for sharing your life with us! I can only imagine how beautiful your home is. Seeing the castle in person is on my bucket list. Now if I can only make that dream come true! Hope you’re staying cool in the heat wave. It’s 94 degrees here in Dallas, Texas. And that is considered cool in August! Thank you – it is definitely cooler here. Such amazing things you are doing and including your community and the public. I am a huge Downton Abbey fan and have added visiting Highclere Castle and staying for tea to my bucket list. I am beginning to plan a trip for next summer (2019). Will the castle be open next July and August as it has been this year? Are the open days Mon-Fri only? My hope is that our trip can include a visit to your beautiful home! It will be open much the same – Sunday to Thursday!